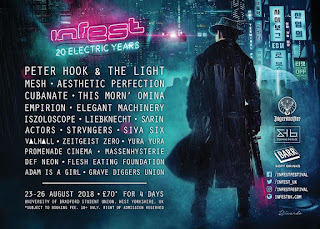 After witnessing the original release of what most consider Tel Aviv-native and now Austin-local electronic rock band SEEK IRONY's breakout album, Tech N' Roll, legendary rock label UDR Music has signed on to re-release it in its full glory on July 29, 2016. 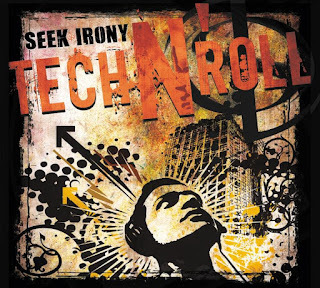 Boasting a heavy rock and electronic mixture with an alternative rock edge, SEEK IRONY is poised to join the ranks of genre-fusing greats like Rammstein, Nine Inch Nails, Rob Zombie and others with Tech N' Roll. Upon its initial release, Tech N' Roll became a raging success in underground rock communities internationally, and SEEK IRONY built further upon a history which had already seen them headline festivals in Tel Aviv and Haifa, Israel as well as feature as a showcase artist at the South By South West Music Festival in 2014. Tech N' Roll is chock full of loud, live and explosive musical energy. Lyrically, the album touches upon topics ranging from technological influences on society and foreign politics, but doesn't forget to have fun with fan-favorite anthems. "The music is a process that we all contribute together, some songs are more guitar based in their nature, some are more electronica based," says founding member and vocalist Kfir. "Lyrical topics vary. Some are political, like "Ravelution (Push)" for example, which was inspired by an Israeli-Palestinian youth leadership program that I was invited to attend as an Israeli activist artist, which brought together youth leaders from both sides of the border. (Then) "Running Towards The End Of The World" discusses social media and technology and how it affects all of us in this day and age. 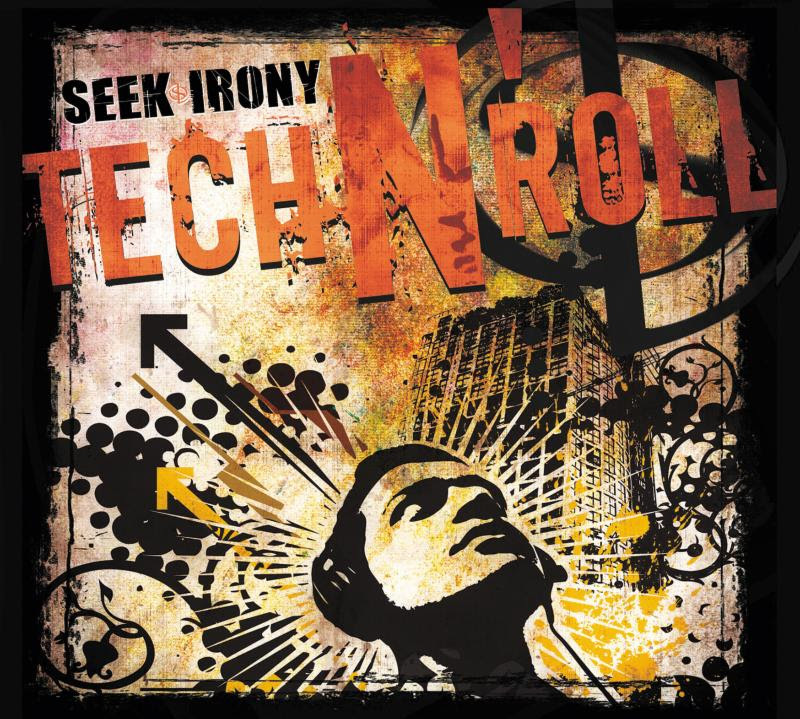 Some are very deep and meaningful and some are kinda silly like "Tech N' Roll" which simply describes what Seek Irony's music is really about - the combination of Techno (EDM) and Rock N' Roll." Tech N' Rollwas self-produced by the band at their own Keoss Studios in Tel Aviv, Israel and Evil Snail Studios in Austin, TX. The album was mixed by Phil Anderson at Powersound Studios in Edmonton, Canada and mastered by Maor Appelbaum (Faith No More, Yes, Sepultura, Ill Nino, Starset) at Maor Appelbaum Mastering in CA. About SEEK IRONY: SEEK IRONY's energy was forged early on by its founding members, Kfir (vocals) and Rom Gov (drums) who were furiously active in the music scene during their youth. After two successful trips to the US (and years of success and development in Israel) the brothers felt that it was time to take things to a whole new level and seek a new US pasture. Austin, Texas was chosen for its rich, and open, musical history, and as part of the relocation plan, Kfir decided to also start up a new Austin based recording studio called "Evil Snail Studios", which will be the band's recording home. And after a few intense months of searching, the Gov brothers welcomed on board two new members, Austin's local Grammy nominated and Progressive Rock Hall of Fame guitar hero Alex Campbell, and bassist/sound engineer Adam Donovan who had already worked on tour as a live sound and light tech with Die Krupps and KMFDM.